Grade Potential Tutoring recognizes that users may have concerns about privacy issues as they navigate the Internet. 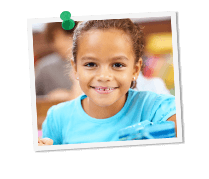 Grade Potential Tutoring is committed to providing users with a safe, secure environment in which to secure information. Grade Potential Tutoring will use reasonable efforts to ensure that the information you provide remains private, and is used only for the purposes stated below. Users may use https://staging.gradepotentialtutoring.com without registering, but registration must occur in order to use any of the personalized services. Our site’s registration form requires specific contact information: name, e-mail address, etc. We use the customer contact information to learn more about our visitors. The contact information is also used to contact users when necessary. https://staging.gradepotentialtutoring.com may contain links to third-party Websites. These links are provided solely as a convenience to users and not as an endorsement by Grade Potential Tutoring of the contents on such third-party Websites. Grade Potential Tutoring is not responsible for the content of linked third-party sites and does not make any representations regarding the content or accuracy of materials on such third-party Websites. Links to third-party Websites are performed at your own risk. Grade Potential Tutoring does not represent or guarantee the truthfulness, accuracy, or reliability of communications posted by users or endorse any opinions expressed by users. User acknowledges that any reliance on material posted by other users will be at the User’s risk. https://staging.gradepotentialtutoring.com encourages visitors to submit feedback. Any feedback that is submitted becomes the property of https://staging.gradepotentialtutoring.com and we may use this feedback for marketing purposes, or to contact visitors for more information.